Walker (my middle son) really loves Washi tape. I had to start buying it on Amazon just to save $$. He loves to use it on everything. Which I find funny at times, as a few years ago I’d see baskets of Washi tape at blogger conferences for free, and had no idea what it was, and ignore it….yeesh. 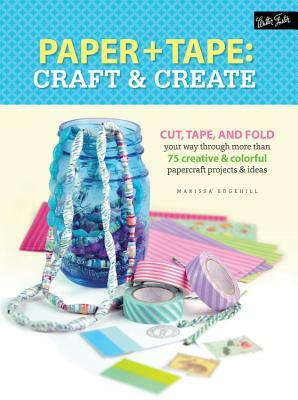 , if you love ideas for paper craft (even jewelry! ), you will want to check it out. Our crafts were not exactly pretty, but I let him lead, and try to not do perfection on him. Having said that, even younger children, with help, will enjoy creating. And yes, there is plenty of inspiration for chronic crafters of an adult age!